Treat your Time Out Market Card as cash. Lost or stolen cards will not be replaced.  “Time Out Market” means either Time Out Market (Miami) LLC, Time Out Market (New York) LLC, Time Out Market (Boston) LLC or Time Out Market (Chicago) LLC dependent on the location at which you purchased your Time Out Market Card. SUBSTANTIALLY AFFECT YOUR RIGHTS TO BRING ANY FORM OF CLASS OR REPRESENTATIVE ACTION OR CONSOLIDATED PROCEEDINGS. You can purchase and load value onto your Time Out Market Card only from us by visiting the Time Out Market store of an specific location, at the designated places for that purpose. Due to possible limitations of our systems, please note that funds may not be readily available after loading your Time Out Market Card for immediate use. No more than $2,000 will be associated with any one Time Out Market Card in a single day. The total value you may load onto all of your Time Out Market Cards, together with the value of any new Time Out Market Cards that you may purchase, may not exceed $10,000 on any given day. No fees will be charged for activation, service, dormancy or inactivity in connection with your Time Out Market Card. For cards purchased in New York and Illinois: Your Time Out Market Card will expire five years from the date you loaded funds onto it. For cards purchased in Massachusetts: Your Time Out Market Card will expire three years from the date you loaded funds onto it. For cards purchased in Florida: Your Time Out Market Card will not expire. Any unredeemed balance amount on your Time Out Market Card may be subject to laws governing abandoned property which require us to provide the balance to the government of the state in which the card was purchased. You may file a claim with the state to recover any unredeemed amount on your Time Out Market Card. Time Out Market Cards may not be used in connection with any marketing, advertising or other promotional activities (including without limitation via Web sites, Internet advertisements, email, telemarketing, direct mail, newspaper and magazine advertisements, and radio and television broadcasts). If you wish to purchase more than 10 cards, please email [email protected] and one of our representatives will contact you. Mandatory registration with Time Out Market is required whenever you load more than $1,000 onto your Time Out Market Card or purchase more than ten Time Out Market Cards that exceed $750 in prepaid value in any given day. You are responsible for: (a) the accuracy of all information that you provide to us; and (b) maintaining the confidentiality and security of your Time Out Market Card information. You should treat your Time Out Market Card like cash and not disclose your Time Out Market Card information to anyone. If your Time Out Market Card or Time Out Market Card information is lost or stolen, anyone who obtains possession of either one may use your Time Out Market Card. You are responsible for all transactions on your Time Out Market Card, including unauthorized transactions. If we reasonably believe that the use of any Time Out Market Card or Time Out Market Card balance is unauthorized, fraudulent or otherwise unlawful, we reserve the right not to accept or limit the use of such Time Out Market Card or Time Out Market Card balance in case we consider such action appropriate to limit our risk. The only way for Time Out Market to guarantee how much dollar value has a Time Out Market Card is if you purchase such Time Out Market Card directly from us and do not share or compromise your Time Out Market Card. Consequently, we have no liability to you for any third party fraud or unlawful activity associated with any Time Out Market Card balance. If Time Out Market discovers any Time Out Market Card or Time Out Market Card balance was sourced or derived from fraud or other unlawful means, in our sole discretion, we may cancel all impacted Time Out Market Card and retain all related Time Out Market Card balances without notice to you. We may use retained Time Out Market Card balances to help offset our liability to card companies, networks and issuers of lost or stolen credit and debit cards used to purchase or load Time Out Market Cards. Time Out Market Card is not made available, nor intended for use by, anyone under the age of 13. If you are between the ages of 13 and 18, you may only use Time Out Market Card under the supervision of a parent or legal guardian who agrees to be bound by this Agreement. EXCEPT AS IS EXPRESSLY PROVIDED OTHERWISE IN THIS AGREEMENT THE TIME OUT MARKET CARD, AS WELL AS ALL OTHER PRODUCTS OR SERVICES DEEMED TO BE DELIVERED UNDER THE TERMS OF THIS AGREEMENT SHALL BE PROVIDED ON “AS IS” BASIS, WITHOUT WARRANTY, REPRESENTATION OR CONDITION OF ANY KIND, AND THE ENTIRE RISK AS TO THE RESULTS AND PERFORMANCE THEREOF IS ASSUMED BY YOU. TIME OUT MARKET AND ITS AFFILIATES EXPRESSLY DISCLAIM ANY WARRANTIES THAT ACCESS TO OR USE OF THEIR SERVICES SHALL BE UNINTERRUPTED OR ERROR-FREE. TIME OUT MARKET DOES NOT REPRESENT OR WARRANT THAT YOUR TIME OUT MARKET CARD WILL ALWAYS BE ACCESSIBLE OR ACCEPTED. TO THE MAXIMUM EXTENT PERMITTED BY LAW, YOU AGREE TO LIMIT ANY CLAIMS FOR DAMAGES AGAINST US TO MONETARY RELIEF FOR THE ACTUAL DAMAGES SUSTAINED BY YOU AS A DIRECT RESULT OF ANY PROVEN FAILURE IMPUTABLE TO US, PROVIDED THAT SUCH DAMAGES SHALL NOT EXCEED THE LAST BALANCE HELD ON YOUR TIME OUT MARKET CARD AT THE TIME THE IMPUTED EVENT OCCURRED. THIS LIMITATION AND WAIVER WILL APPLY TO THE MAXIMUM EXTENT PERMITTED BY LAW REGARDLESS OF THE THEORY OF LIABILITY. THAT MEANS YOU WILL NOT TRY TO GET ANY INDIRECT, SPECIAL, CONSEQUENTIAL, TREBLE OR PUNITIVE DAMAGES FROM US, EXCEEDING THE ABOVE LIMITATION. THE LIMITATIONS SET FORTH IN THIS SECTION WILL APPLY TO THE MAXIMUM EXTENT PERMITTED BY APPLICABLE LAW, RULE AND REGULATION, NOTWITHSTANDING THE FAILURE OF THE ESSENTIAL PURPOSE OF ANY LIMITED REMEDIES SET FORTH IN THIS AGREEMENT. YOU ACKNOWLEDGE AND AGREE THAT YOU HAVE FULLY CONSIDERED THE FOREGOING ALLOCATION OF RISK AND FIND IT REASONABLE, AND THAT THE LIMITATIONS SET FORTH IN THIS SECTION ARE AN ESSENTIAL BASIS OF THE BARGAIN BETWEEN YOU AND TIME OUT MARKET FOR THE PROVISION OF SERVICES THROUGH TIME OUT MARKET CARD. YOU ACKNOWLEDGE THAT BY USING YOUR TIME OUT MARKET CARD YOU HAVE NO GREATER RISK OF LOSS THAN IF YOU PAID US DIRECTLY. We may assign this Agreement in whole or in part without your consent, but you may not assign this Agreement in whole or in part without our prior written consent. This Agreement will bind and inure to the benefit of the respective successors and permitted assigns of Time Out Market. This Agreement completely and exclusively states the agreement between you and Time Out Market regarding Time Out Market Card This Agreement supersedes and replaces all prior or contemporaneous understandings, representations, agreements or other communications between you and Time Out Market, whether oral or written, regarding Time Out Market Card. In the event any provision of this Agreement is found to be invalid, illegal or unenforceable, such provision of this Agreement found to be invalid, illegal or unenforceable will be considered eliminated in this Agreement between you and Time Out Market to the minimum extent necessary so that the validity, legality and enforceability of any of the remaining provisions will not in any way be affected or impaired, and a valid, legal and enforceable provision of similar intent and economic impact will be substituted therefore. The headings and captions of this Agreement are inserted only for convenience and identification and are in no way intended to define, limit or expand the scope and/or intent of this Agreement. As a condition of use of Time Out Market Card, you and we both agree that in case a dispute arises from or relates to this Agreement or the breach thereof, and it cannot be settled through direct discussions, such unsettled dispute should be resolved individually, without resort to any form of class or representative action. We both agree to endeavor first to settle the dispute by mediation administered by the American Arbitration Association under its Commercial Mediation Procedures before resorting to arbitration. We further agree that any unresolved controversy or claim arising out of or relating to this Agreement or breach thereof and/or the use of Time Out Market Card, shall be settled by arbitration administered by the American Arbitration Association in accordance with its Commercial Arbitration Rules and judgment on the award rendered by the arbitrator may be entered in any court having jurisdiction thereof. Claims shall be heard by a single arbitrator. The arbitration shall be governed by the laws of the state of New York. The arbitrator will have the authority to award relief to both parties within the limits set forth in this Agreement, except as may be required by statute. The standard provisions of the Commercial Rules shall apply. Arbitrators will have the authority to allocate the costs of the arbitration process among the parties, but will only have the authority to allocate attorneys’ fees if a particular law permits them to do so. This Agreement shall be governed by and construed in accordance with the laws of the state of New York excluding New York’s choice of law provisions.